You want to know more about Glowsome Ghoulfish Lagoona Blue? Our team from gamesonlinekids.com has prepared for you dearest girls a batch of new and interesting newly added games, and right now, we shall continue this particular batch of games presentation with yet another Monster High category game called Glowsome Ghoulfish Lagoona Blue, which is going to be such a lovely new makeover, dress up and hairstyle game we've specially added within the site gamesonlinekids.com mostly for you dearest girls. Believe it or not, the oceanic Monster High character Lagoona Blue is on a date tonight, and since she hasn't been on a date for a long time now, she needs all the help she can get, so, let's play together this fun game Glowsome Ghoulfish Lagoona Blue, a game where you girls will get to choose the perfect hairstyle for this lovely character, dress her up with cool underwater clothes, change her makeup and add cool accessories for a complete look. 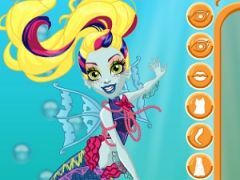 Enjoy playing Glowsome Ghoulfish Lagoona Blue, and make sure you stay tuned for all the latest games! You want to find more about Glowsome Ghoulfish Lagoona Blue? 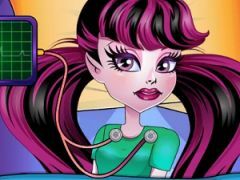 The Glowsome Ghoulfish Lagoona Blue game has part from Monster High Games. This game is played by 17 times, have 1 votes (1 likes and 0 dislikes) and his added 14 April 2019. 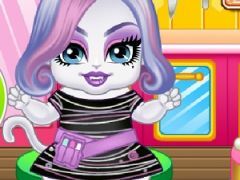 If you want, you can play more games from Monster High Games.